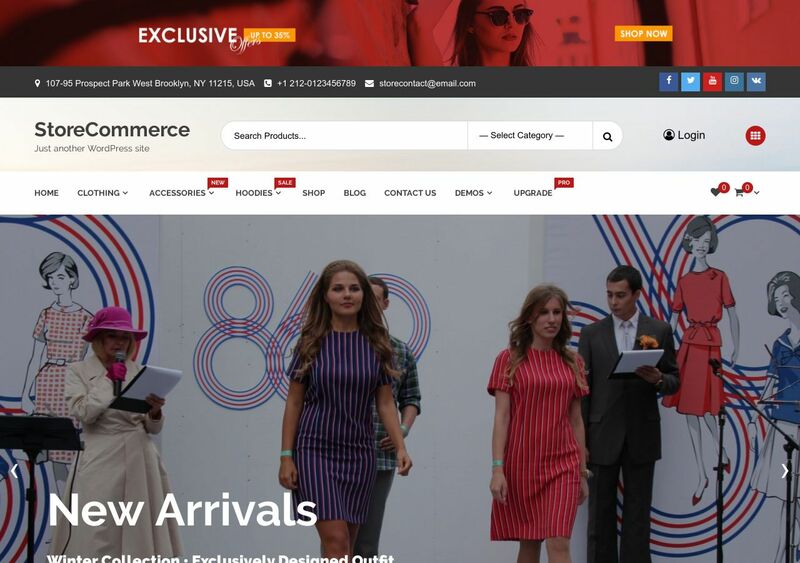 StoreCommerce utilizes advanced development tricks to deliver a stellar multi-purpose WordPress theme for eCommerce stores. Namely, anyone who is actively using the WooCommerce WP plugin in order to operate a digital storefront. Perhaps the highest advantage of using this theme specifically is the fact that it’s based on endless hours of research into the design of other, multi-million dollar storefronts. As a result, each design feature is created in a way that resembles the highest converting standards on the web today. And it goes without saying that the design is impressive indeed. Just take a look at the Demo, and see for yourself the high-quality precision through which each element is flowing together. Most of all, you have a selection of demo templates to choose from so that you can unleash your creativity to its full extent.